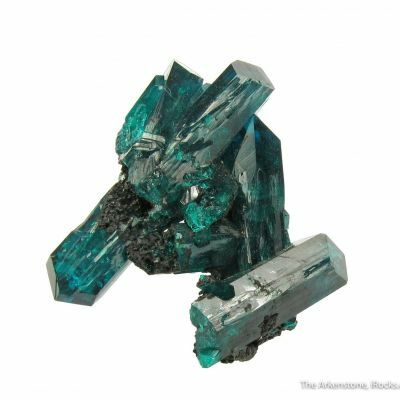 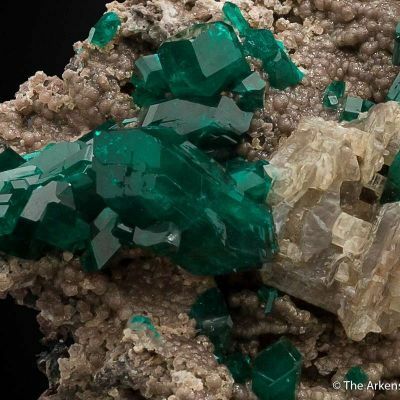 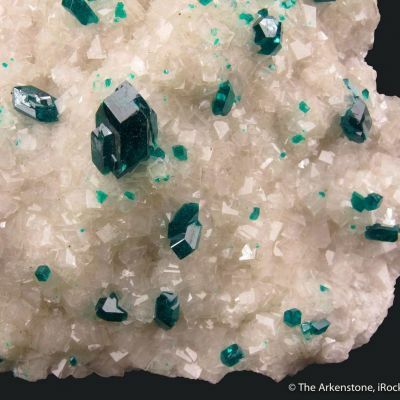 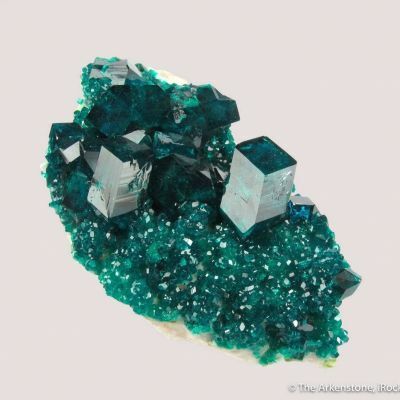 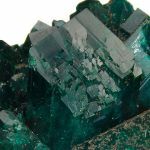 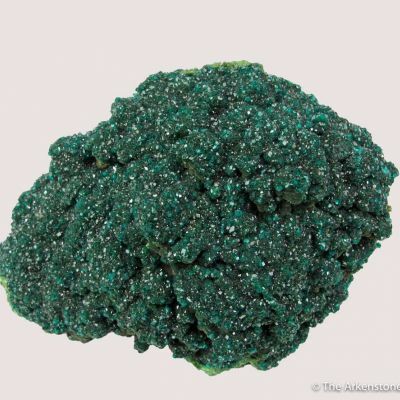 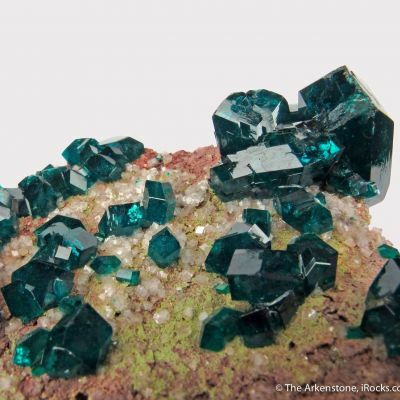 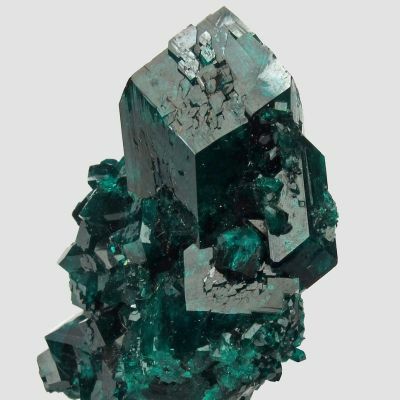 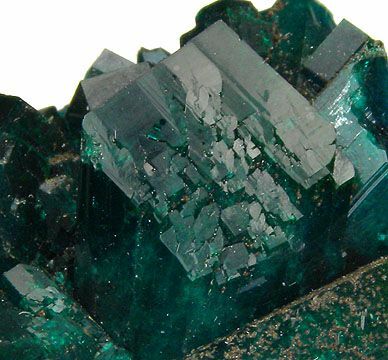 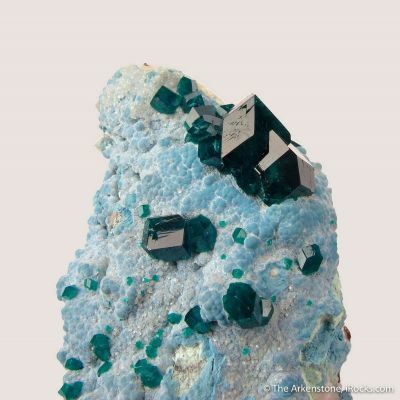 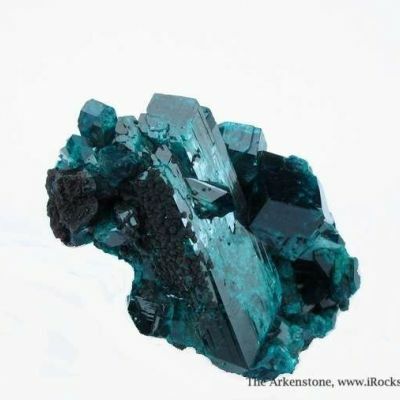 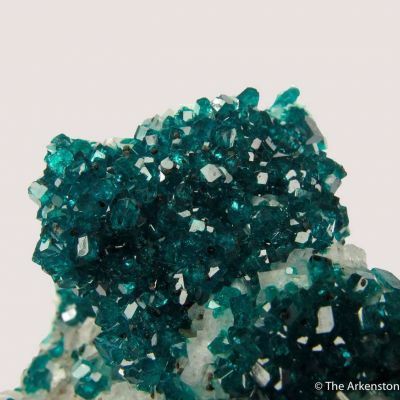 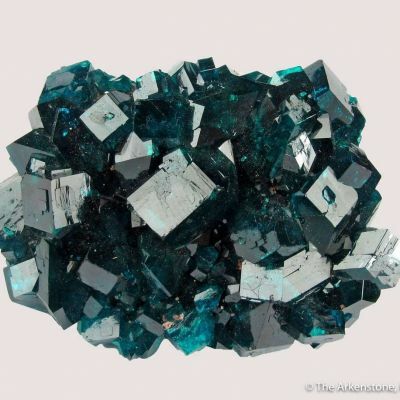 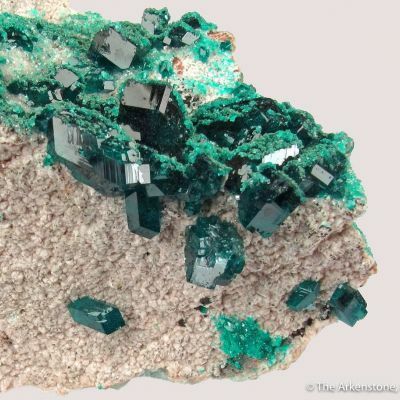 Dioptase is known from a few world localities in superb quality specimens, but recently there was a find of new material in the Pool Region of the Congo. 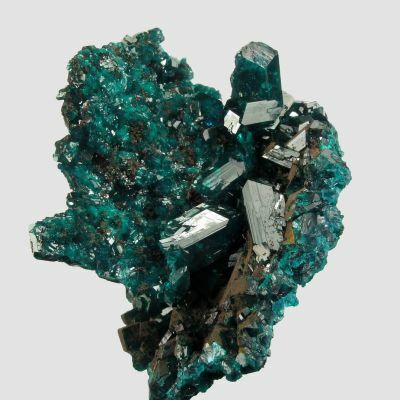 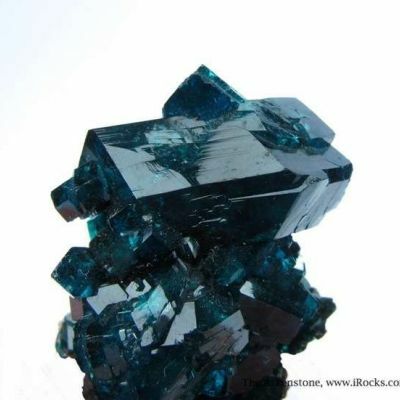 These specimens show great color, with larger sized crystals and excellent gemminess. 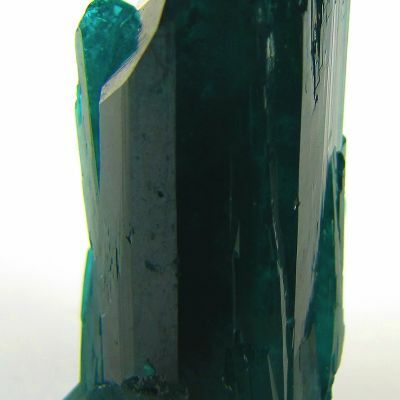 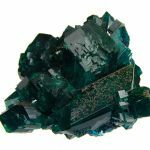 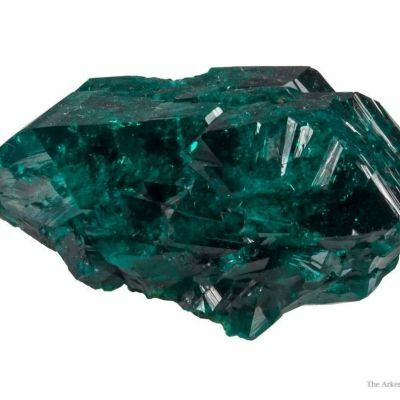 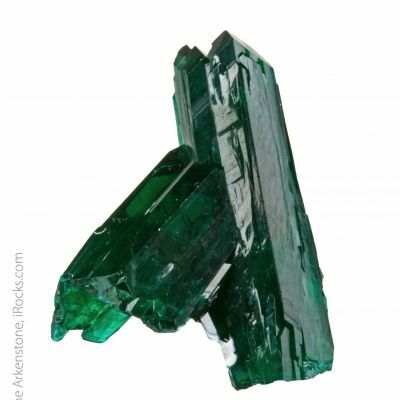 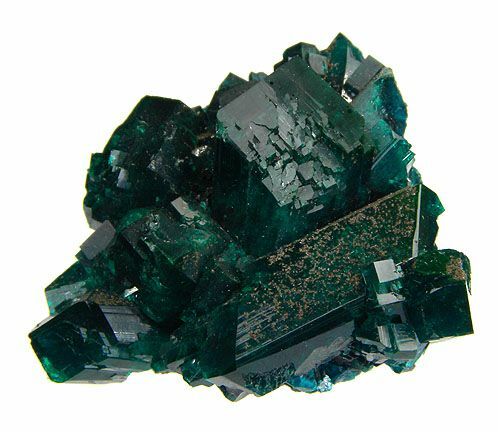 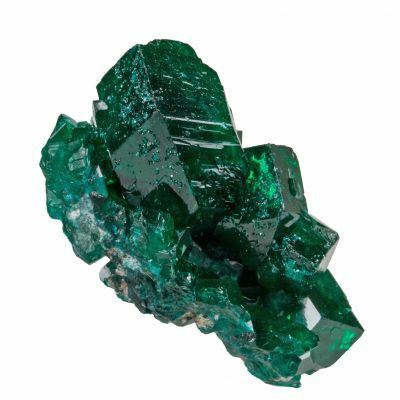 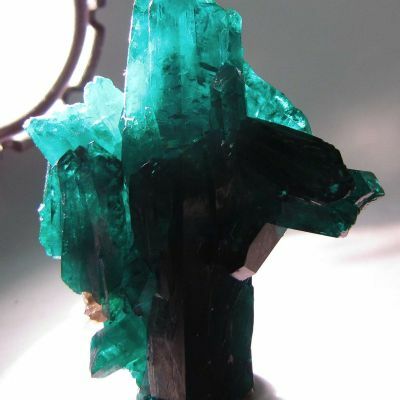 This particular specimen hosts very sharp, lustrous, gemmy, rich emerald-green Dioptase crystals measuring up to 2.0 cm long. 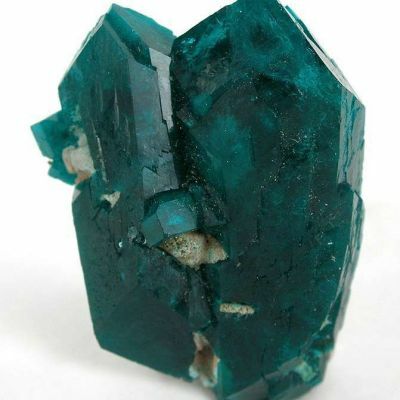 This find seemed to be somewhat limited, and hopefully will produce more of this fine Dioptase.